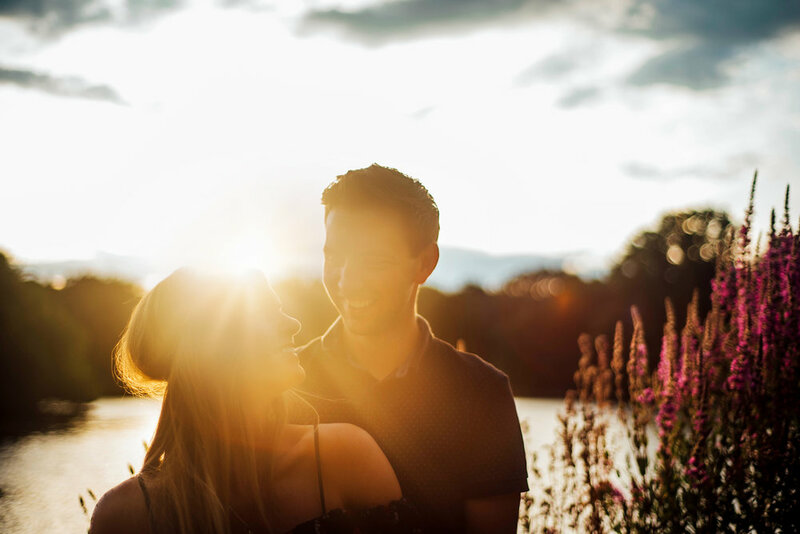 An Epping Forest Pre-wedding photoshoot. Just before I arrived at Epping Forest to meet Laura & Dave for their pre-wedding shoot - the heavens opened, and after a gorgeous, warm & sunny June day, I presumed we'd be in for a bit of a wash out... But then the sky gave one last golden display for us. Be sure to look out for their amazing boho inspired tipi wedding at Brook Farm, coming to the blog very soon.